Imagine. It’s a Thursday night and midnight is fast approaching. Admittedly, you have things you could be doing or sleep you could be catching up on. Instead, you’re packed tight inside an unlikely venue on the outskirts of town with 50 of your closest friends and obvious strangers, all of whom are there for the same reason. You’re tired, or maybe you’re hung-over from the night prior, but you still somehow managed to brush excuses aside and now find yourself pumping your fist, tapping your feet, swaying from side to side and shouting out the lyrics to the song possessing the room. First it captivates you. And then the spell is lifted and it hits you. This isn’t just a band. The New Trust is a movement. While the debut EP, “We are fast-moving motherfuckers. We are women and men of action.” defined the band’s trademark fast-paced punk-infused indie sound, its full-length follow-up, “Dark Is The Path Which Lies Before Us,” took things a step further, showcasing songs that rang louder and longer and bled into one another. The third album of the Santa Rosa, Calif., trio is much more subtle in its presentation but still manages to stand on its own, as thematic and melodic repetition collide, introducing and reintroducing themselves alongside a daring submersion into unchartered musical territory. “Get Vulnerable” approaches its subject matter with a minimalist tenacity. Vocals are stripped down and the song pace slows to a dramatic ramble. It’s sobering. Even the lyrics read like a laundry list of confessions – theft, doubt, infidelity, dishonesty, self-deprecation, lust. But perhaps the most pervasive theme of all is that of being human. Somehow, it’s all very fitting, and communicates an overriding theme that less is more. Even as the band put out the album independent of a label and downsized from four members to three, the sound intensifies in its cohesiveness. This is a band that personifies true synergy, with no one member standing out but instead all three working together to create something greater than the sum of their beings. Josh Staples’ angelic alto showcases a repertoire of yelps, whispers and hushed spoken word, while Sara Sanger’s wandering guitar riffs punctuate and drive – rather than define – the songs. And drummer Julia Lancer beats out as the unfailing heart at the center of the band. 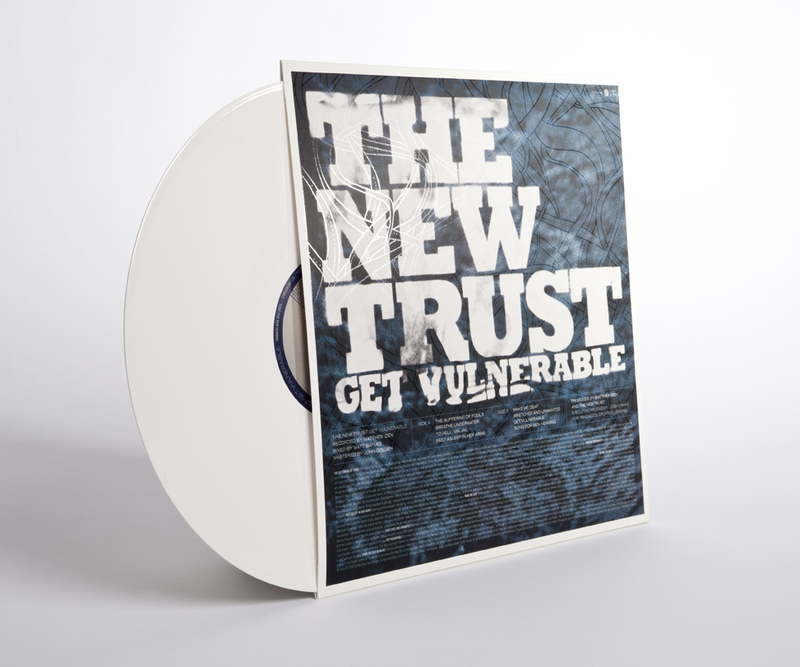 One thing is apparent with this album: The New Trust has not abandoned its sound. It has evolved.